So you broke your ankle. Now what? Hobble around on crutches throughout your recovery? Try to maneuver around the kids all of the time? Attempt to get around to work on them? It’s certainly not ideal. But what can you do? Lucky for you, there are alternatives to crutches for those on a broken ankle. Here are three options for your mobility during the recovery process. As a busy dad, you know there are many things you can’t-do when you have to balance yourself on crutches. It’s hard to play catch. You can’t exactly run. You can’t even climb stairs! 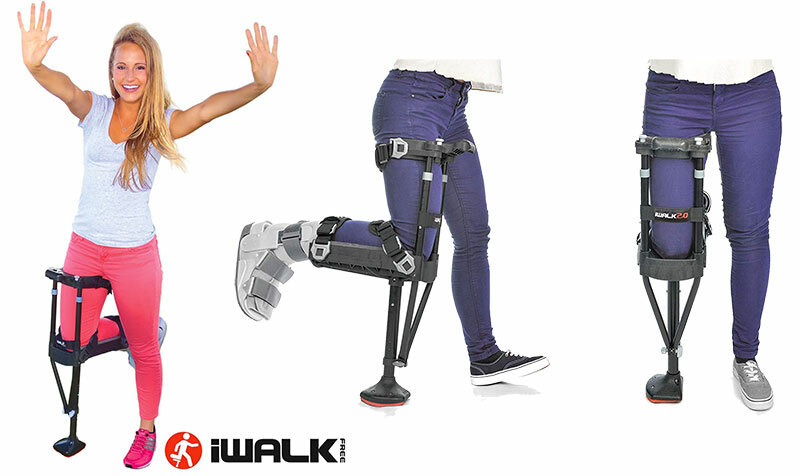 When you have the iWALKFree Hands Free Crutch as your chosen mobility device, you can do all of those things and more. The Hands-Free Crutch is a device that straps to your bad leg. It looks like a peg leg and allows you to walk much like normal. Your kids will think you look really cool and you may very well be able to chase them down and tickle them until they admit it. If you have a job that makes you walk around or stand quite a bit, this device is also great for those occasions. Best of all, you retain the use of both of your hands while you wear it so you can carry whatever you need whether that is files at work or a child’s hand at home. Keeping up with a child on a bike is impossible on crutches, but with the Knee Scooter, anything is possible! 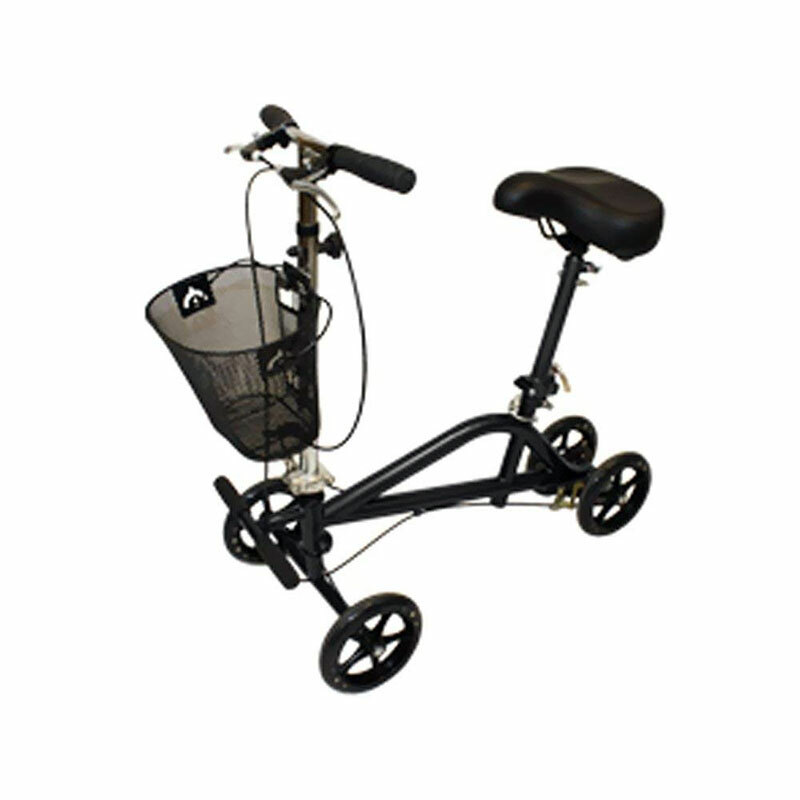 The Knee Scooter is a wheeled device that allows you to kneel on a padded area and scoot yourself around with your good leg. 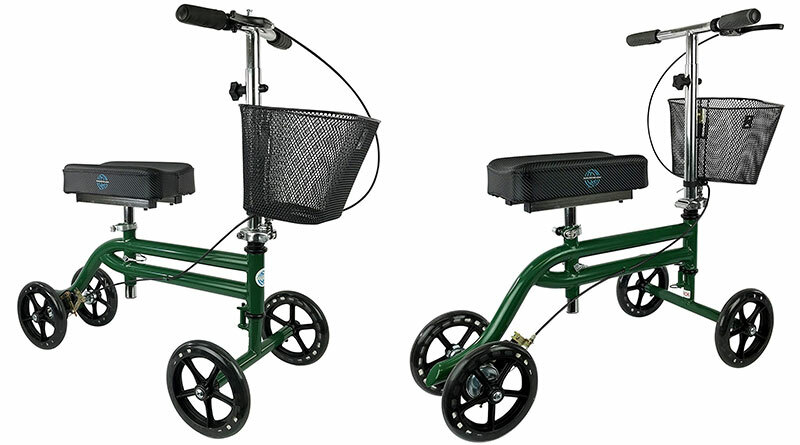 Your broken ankle is elevated and out of the way, and you can hop on and off the device with speed and ease. You direct the Knee Scooter using handlebars, but you can do that with one hand if needed. And you can use the basket on the front to carry your wallet, keys, or other needed items in and out of work. The Knee Scooter will help you keep up with the kids, and it can easily fold up and fit under your desk at work. When you break your ankle, your doctor will recommend that you get more rest. As a dad, you know you rarely get to sit down! But the Seated Scooter will allow you a place to sit and rest no matter where you go or what you do. The Seated Scooter works much like the Knee Scooter only you sit and scoot yourself around. When you aren’t shooting, you can use the device as a chair with a great place to prop your leg up in front of you. This device also has a basket to help you carry files around at work. And you can simply glide up to the conference table and park yourself instead of worrying about transferring over to a chair. 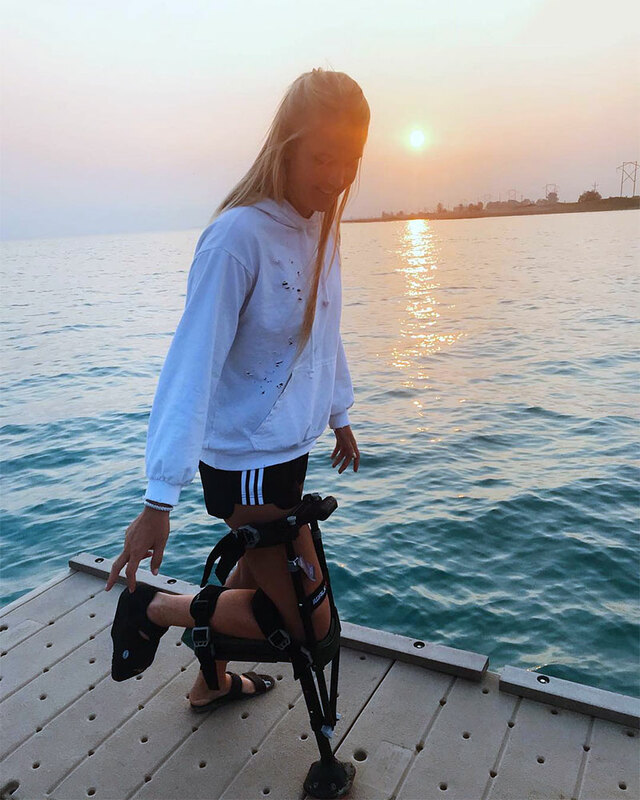 It’s never convenient to have a broken ankle, but these three mobility devices will make your life as easy as possible during the recovery process. Examine your needs and wants for recovery and fit yourself to the device that would serve you the best.